District 201C1, South Australia, Australia. 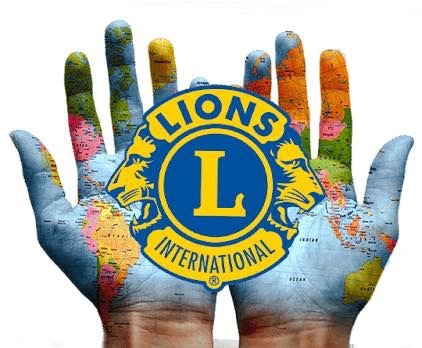 Lions is a community service organisation with its members giving back to the community, assisting where they can. 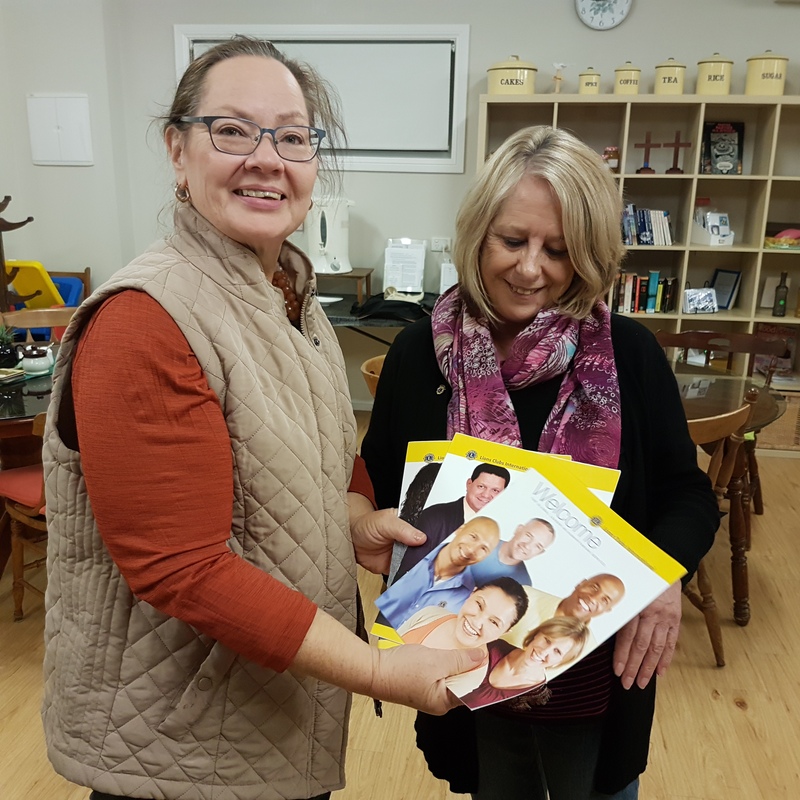 We are always looking for ideas on what the community believe is needed to improve life in KADINA. With ordinary people doing extraordinary things - supporting the community. Lions have particularly enjoyed supporting the Wallaroo Mines School and assisting students achieve their goals. Selling our Christmas cakes and Puddings is one way we raise funds. Above Lions club Members Rob and Skippy selling cakes . Be a part of the change. Join the Kadina Lions Club. We are always looking for new members. If you are interested contact us to see how to join. We recently celebrated 50 years of serving the KADINA Community and celebrated with a luncheon at the Wombat hotel. Drought Appeal, Wallaroo Mines Primary School, Copper Coast Sports and Leisure Centre, SPELD, Food Bank, support to local athletes to attend training camps and International event, Apex Postie Bike Ride, Variety Club Bash. Meetings occur on the 1st and 3rd Mondays of each month, or if the scheduled Monday falls on a Public Holiday the meeting is delayed until the Tuesday. On the 1st Monday we have a business meeting at the APEX club rooms, Kadina. On the 3rd Monday we have a social dinner meeting gathering at the Wombat Hotel on Taylor Street at 6.30 for 7.00 p.m. Check with the Secretary or visit the Calendar under the "EVENTS" menu tab, as occasionally meetings may be rescheduled or held at another venue - and we have been known to visit other Lions Clubs. President Carol and John attended the annual convention in Port Augusta recently. 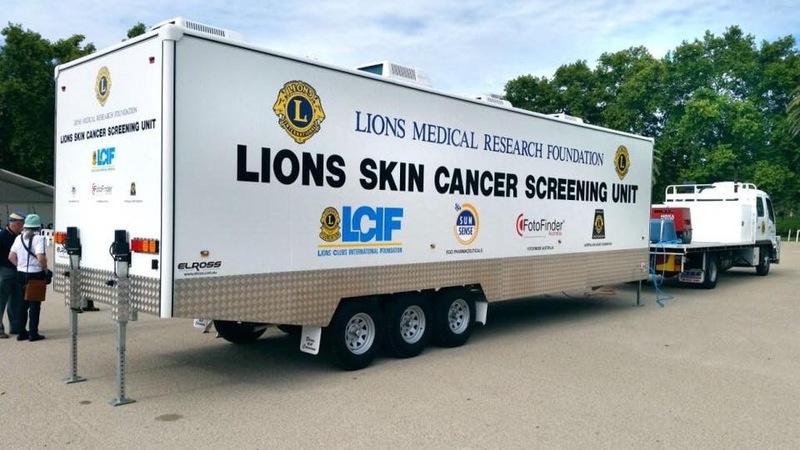 Carol spent most of the weekend volunteering on the Lions Skin Cancer screening van but still managed to get to many of the convention sessions. 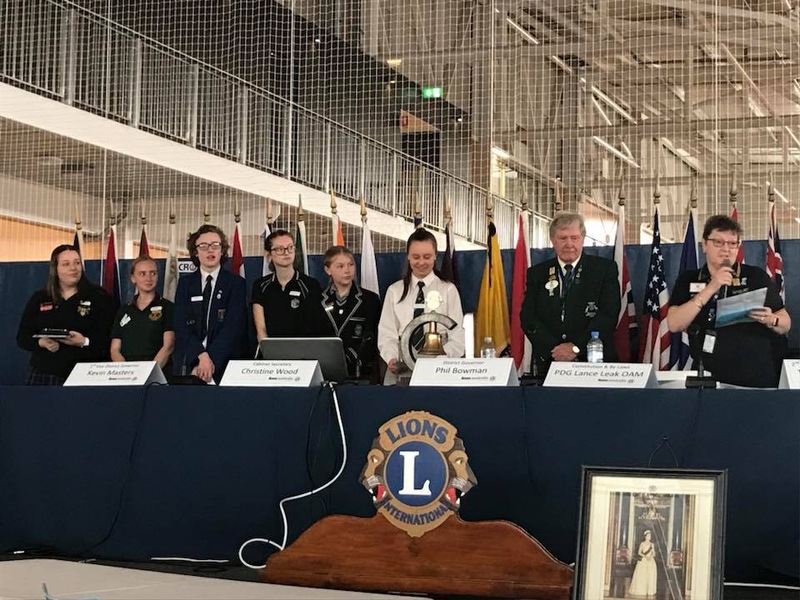 Conventions always fun catching up with old friends and making new ones listening to presentations on exciting Lions projects and the always wonderful and inspiring Youth of the Year district finals. We meet the needs of our local communities and the world. Our 1.3 million men and women in 205 countries and geographic areas conduct vision and health screenings, build parks, support eye hospitals, award scholarships, assist youth, provide help in time of disaster and much more. (i) Lions International has consultative status to the United Nations Economic and Social Council, one of the main bodies of the United Nations which is concerned primarily with advancing the welfare of all human beings. The international president annually appoints representatives to ECOSOC, WHO, UNICEF and UNESCO. The association also has a relationship with FAO. Lions Day with the United Nations is held in late February or early March each year. (ii) Lions have raised more than US$415 million since 1990 to support the SightFirst program, which has saved the eyesight of millions of people worldwide. (iii) The Lions Hearing Dog Centre in Adelaide celebrated its 30th Anniversary recently with the announcement that their 500th hearing dog Julia is soon due to go to a new owner in Victoria. Each dog costs some $30,000 to train - that's a whopping fifteen million dollar investment overall or some $500,000 per year. 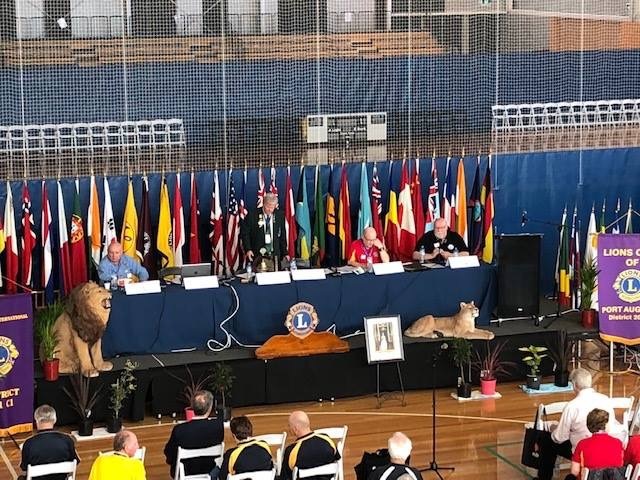 Here is brief 6 minute video about Lions Clubs in Australia.